Now more than ever having an online presence is key to the success of your business. At Weybridge-IT we focus on designing attractive, clear user friendly websites that can be easily found on the most popular search engines. We have created a hundreds of brochure and ecommerce websites for local business in Surrey, London and the South East. Our customer service and confidence with our clients is of the utmost importance, in fact most of our work comes from referrals. We always follow-up on all of our projects to ensure we maintain the highest levels of service and results for our clients. Weybridge-IT almost exclusively design our websites using WordPress! We have found it to be one of the most versatile platforms currently available. It is so popular it now powers approximately 30% of the worlds websites. Its popularity may have something to do with its user friendly interface which our clients love. It is also fantastic when combined with WooCommerce to create engaging ecommerce websites. Using WordPress as the platform for your website means you can also edit your content on your website if desired. This is often the case with ecommerce sites where you are administer and process your customer orders. Our websites are fully responsive or “mobile friendly” which is the term used by Google. Having a responsive website is more important than ever with search engines such as Google taking this into account when placing your website in its index. This is called “mobile-first indexing” where search engines such as Google previously indexed your desktop site it now evaluates your mobile site first. As more searches now occur on mobile devices such as smartphones like the iPhone and Android handsets the index will now primarily use the mobile version of your pages. How much will we need to budget? Weybridge-IT are one of the most competitively priced web agencies in Surrey. For the level of customer service and attention to detail we provide they offer excellent value. As every project is different we do no longer provide menu pricing based on the number of pages of the site. There are many factors in the creation of a new website, from logo design, contact forms, purchasing of images or photography to bespoke ecommerce requirements. Our small business brochure sites start at £1995 (ex VAT) this will get your business online, be professional, responsive, easy to use and include functionality such as featured slider to grab visitor attention and contact form. Your website will also be submitted to the major search engines for indexing. Weybridge-IT built our WordPress website, optimised it for both organic and Adwords response and we couldn’t be happier. They have a great deal of patience and always the time to answer in detail the questions we have. We have always received a fantastic service from Weybridge IT. Our new website is above and beyond what we could have expected. Modern, sharp and very professional. 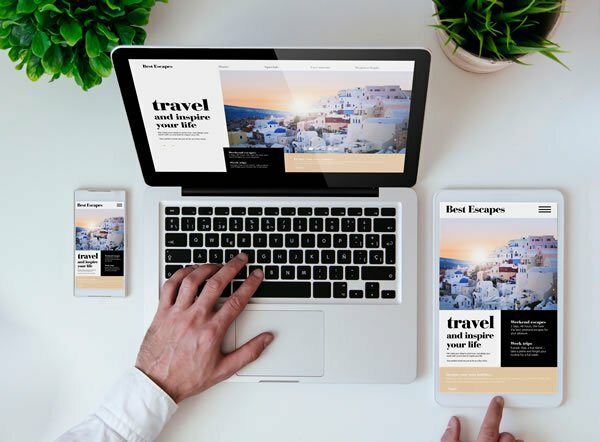 The Weybridge IT web design team created us two fantastic websites one of which is a very user friendly e-commerce site. They are always on hand to help and provide excellent support. Highly recommend them! My company needed a web design service and found Weybridge-IT. They designed and constructed a new e-commerce website. The website they designed for us works incredibly well and looks modern, clean and is very easy to use. Weybridge-IT are excellent – I can highly recommend them if you need commercially savvy IT support – They provided us with hosting, website redesign and SEO services. P.Cheney, The Leak Detection Co. Fantastic Web Designers! Really captured the essence of what we are about and how we wanted our web site to be! Great advice and always happy to provide continued support. Highly recommend them. Exceptionally good Web designers! We couldn’t be happier with our new web site. Weybridge IT are really creative and really technical at the same time. Highly Recommend them! We would highly recommend Weybridge-IT web designers to others! Their SEO service is invaluable and has really put us on the map, we receive most of our business through calls and enquiries through our website. Fabulous website designers made an enormous difference, Weybridge IT are always helpful. Its comforting to know that my IT requirements are met and handled professionally at all times. At Weybridge-IT we pride ourselves on our ongoing support and maintenance of your website. We offer pay-as-go support for users that only require occasional updates or monthly maintenance packages where we take care of everything for you. If you host your website with us all WordPress updates, extensions are included if you host elsewhere but want us to maintain you site you may want our essentials package. *Essentials is included if your website is hosted with us. Our pay-as-you rate is £75 per hour this is our minimum billing charge. All prices quoted are exclusive of VAT charged at the prevailing rate. All maintenance packages are a minimum term of 3 months payment is taken via DirectDebit for your convenience. Weybridge-IT are an SEO and web design company based in Surrey. We also have a studio office in Guildford. Our web designers have created hundreds of websites for local companies in towns along the A3 corridor, the M25 and in the City of London. Weybridge-IT is a Google Partner, specialising in AdWords Search and Ads for Mobile. The badge is awarded to companies with Google Ads skills and expertise.